In May 2009 His Holiness Pope Benedict XVI called for the “evangelisation of the digital continent” as an integral part of the Christian missionary spirit called the “new evangelisation”. The Norbertines of St Philip’s Priory, Chelmsford now have this blog, Facebook page, and our canonry website; in an effort to give the world a further glimpse into our life as Canons Regular of Prémontré we have created an account with the photo-sharing website Flickr. Please find us here at our Norbertine Vocations Photostream, have a look at some of the photos we have uploaded, and if you are a member please follow us. 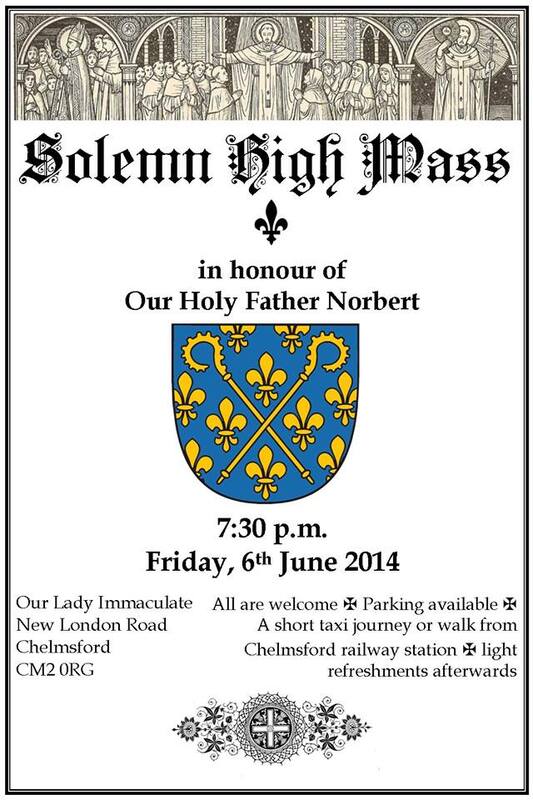 Don’t forget as we begin to celebrate the Solemnity of Our Holy Father Norbert tomorrow at 1930 we will be having a Solemn High Mass in his honour. If you can make it please come to celebrate with us, and if you can’t please join us in prayer. This entry was posted in O.Praem Pictures. Bookmark the permalink.